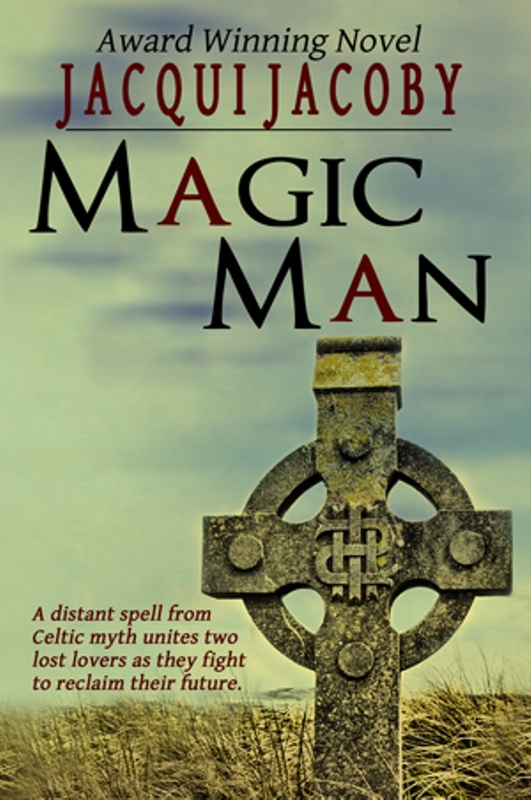 This week's Spotlight on Author is on Jacqui Jacoby and her latest release, Magic Man! Award-winning author, Jacqui Jacoby lives and writes in the beauty of Northern Arizona. Currently adjusting to being an empty nester with her first grandchild to draw her pictures, Jacqui is a self-defense hobbyist. Having studied martial arts for numerous years she retired in 2006 from the sport, yet still brings strength she learned from the discipline to her heroines. She is a working writer, whose career includes writing books, teaching online and live workshops and penning short nonfiction. Imagine taking amnesia and redirecting its path. It’s not you who lose your memories, but it’s the world around you. Friends, family, everyone who you ever knew now looks at you like a stranger. The upset in your life, the loss you feel with every breath, this is the concept facing Alexandra Madison as everything she knows unravels. MAGIC MAN was an interesting ride to take. It showed me aspects of society that I had not looked into in depth. I studied a famous murder investigation from the point of the view of the police until I, too, was burned out. Walking the streets of Hollywood—Sunset, Vine, Franklin—I saw the people and heard stories of lives with wrong turns. Cemeteries of the famous and forgotten stand ready for a person to remember. A mansion stands in the hills, a mansion where a real life murder occurred, one I visited and saw the inside. A mansion where Peter Mackenzie might have walked the halls, taken his dates and finally left for his own life away from the wealth. MAGIC MAN is a visit into history where history comes to 2015, bringing with it an evil that should never have been allowed to continue. MAGIC MAN is the story where evil took love and love found its way home even when it was so obvious it was gone. Detective Peter Mackenzie knew crime and knew his job. With The Cemetery Man schedule to leave the next body on the next grave Peter doesn’t have time for the puzzling Alexandra Madison. 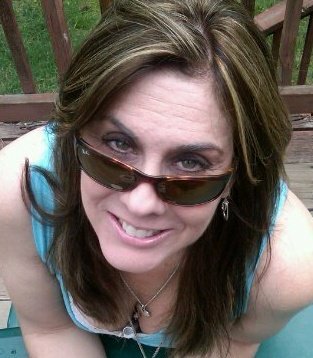 Her wild stories of a stolen life and family and friends who don’t remember her. Her last resort, she tells him is him and the relationship they shared. Peter doesn’t need this nonsense and his eccentric father walking in only irritates him more. Until his father utters the name everyone forgot, giving hope to Alexandra for the first time. What he doesn’t know, what he couldn’t know, even with Alexandra delving deeper into his father’s past, the victims are not random. They are chosen with reason and the monster who takes them is not done. She is coming for one of them. 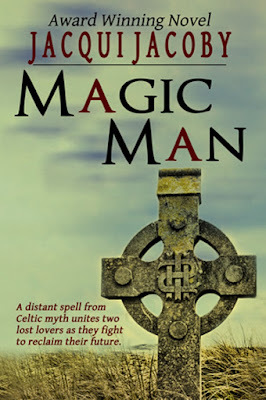 Enter this Goodreads giveaway to win signed copies of MAGIC MAN. I have to say parts of Jacqui's research sounds a tad depressing. But the murder aspects sure would keep me entertained! Wishing her much success. Yeah, not all research is happy. Peter was burning out and for a little while I had to join him. I think it makes it a more realistic read. Thank you very much. It was a real good feeling to get this book out. Difficult? Naw not really difficult. A lot of people watch crime shows and I avoid them like the plague. Reading the real stuff, you just have to be careful not to go to deep. And the cemetery? I always take flowers to my favorites. Thx. It was fun to work with. Congratulations! That's so cool you actually went into the mansion. Oh the secrets houses that size might hold! I didn't just get to go in. They staged a three part play in it and you got to go to room to room to watch it ... I think one of them was the room the real murder took place. Congratulations, Jacqui! The book sounds cool. Thank you very much. Appreciate the support. Some of the research still haunts me. You see some of that stuff and it's in your head. But I think Peter had more depth for the journey. Hello, Jacqui! Congrats on your latest. The more I hear about this book, the more fantastic it sounds! Best of luck to Jacqui! Appreciate that. Both the comments and the luck. Congrats, Jacqui! I enjoyed learning more about Magic Man. I hope you really enjoy it. This book sounds so intriguing, and the research sounds like it was fascinating! Congrats! Research was off the normal route (from the writer who just rewrote vampires) but it was really satisfying, It took me to so many places. How interesting. A world of people without memory, and then YOU! I can only imagine the consequences. You can read about ... as they tell you you are crazy and you **know** you are right. She had a hard fight and never backed down. A good cemetery. Always fun. I couldn't even imagine what it would be like having amnesia. Certainly confusing! She's doesn't. She knows what's real ... it's the rest of the world that forget her. Even Peter. Wow...that's an interesting premise. I don't know what would be worse...not being able to remember anything or being able to remember everything and having nobody remember YOU! She remembers everything so it is them forgetting her that is killing her. Yeah, I suppose it is. Never knew I was really into writing thrillers until I went back and read one and thought ..,. "This is pure romance?" The book sounds chilling and fascinating. The description makes me want to pick this up. If you do I hope you love it. It was a fun write even with all the shadows. Sounds like an intense experience to write the story. Yes it was, but I got to see a lot of cool things. I actually love graveyards so this was neat. And the murders, I had some background in the case I was studying so I just vamped it up a bit. Still gets on some of it. Good news to hear. I hope you enjoy the book. I had alot of fun with it. What a fascinating concept. It's definitely something I will enjoy.